Business in Italy tends to be personal. 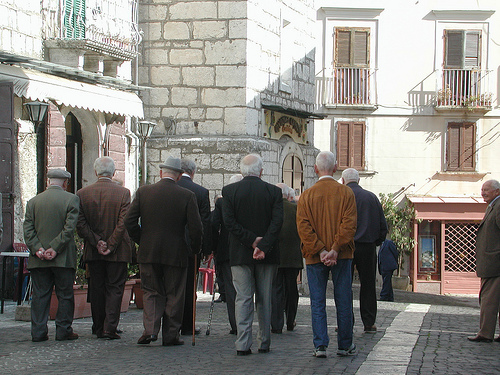 Italians like to know people when they do business, and prefer face-to-face meetings instead of on the computer or over the phone. Italian business partners will probably want to know some information about you and your background before they would want to associate with you. It is not a bad idea to have a third party introduction to start things off. First impressions are important, and you should appear formal and stylish in your dress. It also does not hurt to ask other business colleagues questions about themselves so you will get to know and trust each other. When you communicate with Italians, they will probably act very expressive and enthusiastic and use their hands a lot. 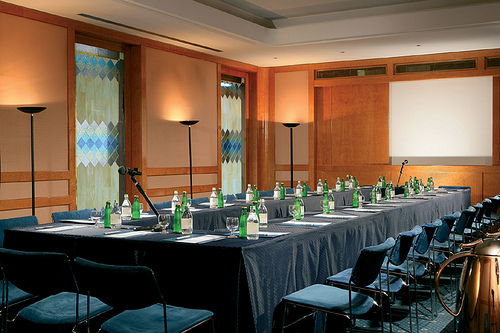 In terms of meetings, appointments are very necessary, and you should schedule a meeting 2-3 weeks in advance. You should do this by sending an official letter, written in Italian. To confirm this upcoming meeting, you should send a fax or make a phone call, also in Italian. Most people take vacations in the month of August, so avoid scheduling meetings then. People have different concepts of punctuality in Italy. In the north, your colleagues will probably be on time. You should have all of your written materials translated into Italian, and also hire an interpreter if you are not familiar with the language. During meetings, people will probably be very loud and enthusiastic. People will often raise their voices and speak over one another, so do not get offended if this happens to you. Initial meetings generally do not reach any decisions, as they are more intended to have everyone say what they need to get across. Because of such a free-flow communication style, disputes will often break out between colleagues. The amount of small talk will differ depending on the region of Italy you are doing business. In the north, the people are more strict, and will communicate with less small talk. In the south, they are usually more laid back and will want to get to know you for a little while before any negotiating. While negotiating, if you make a verbal agreement, never back out of it, because they show integrity. Do not be surprised if there are several arguments to finally determine the price and delivery date of anything. There is definitely a hierarchy in the Italian business world. People have a lot of respect for power and age, and prefer to do business with people who are high up in their companies. Italians are stylish people, so you are expected to adhere to this custom. Men should wear dark-colored business suits, and women should wear business suits or dresses. You can touch these up with elegant accessories, as these things will be noted.